CLICK HERE TO REGISTER AS AN ATTENDEE! 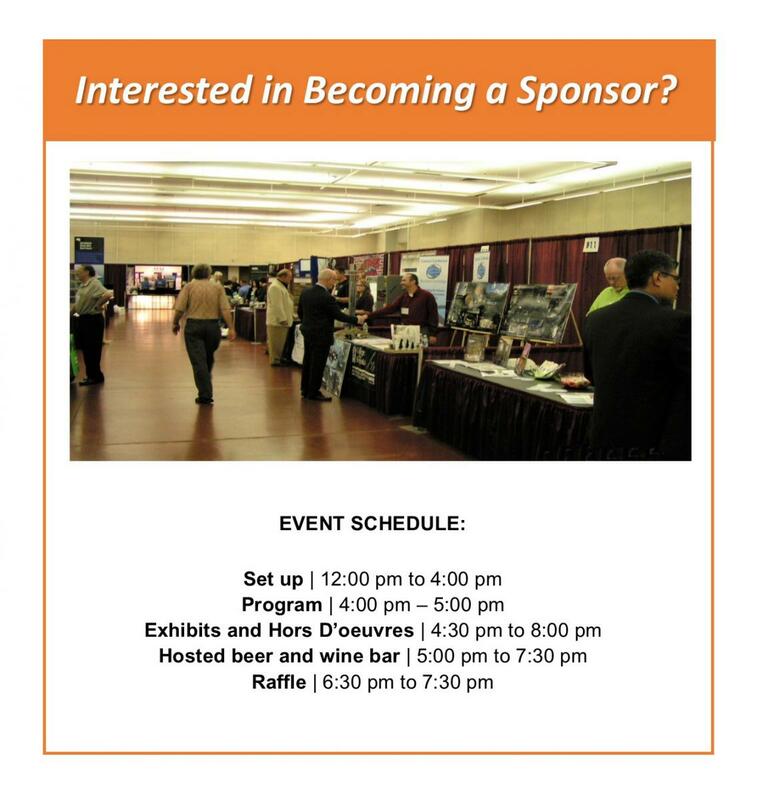 CLICK HERE TO REGISTER AS A SPONSOR/EXHIBITOR! Welcome to the Fresno Chapter of the Construction Specifications Institute. Mission of CSI: Advance the process of creating and sustaining the built environment. CSI is a national association dedicated to creating standards and formats to improve construction documents and project delivery. The organization is unique in the industry in that its members are a cross section of specifiers, architects, engineers, contractors and building materials suppliers. The organization has 146 chapters and more than 15,000 members. Monthly Chapter meetings allow members the opportunity to communicate openly with their counterparts and exchange information for successful project management. CSI is renowned in the industry for its rigorous certification programs for professionals seeking to improve their knowledge of accurate and concise construction documents. 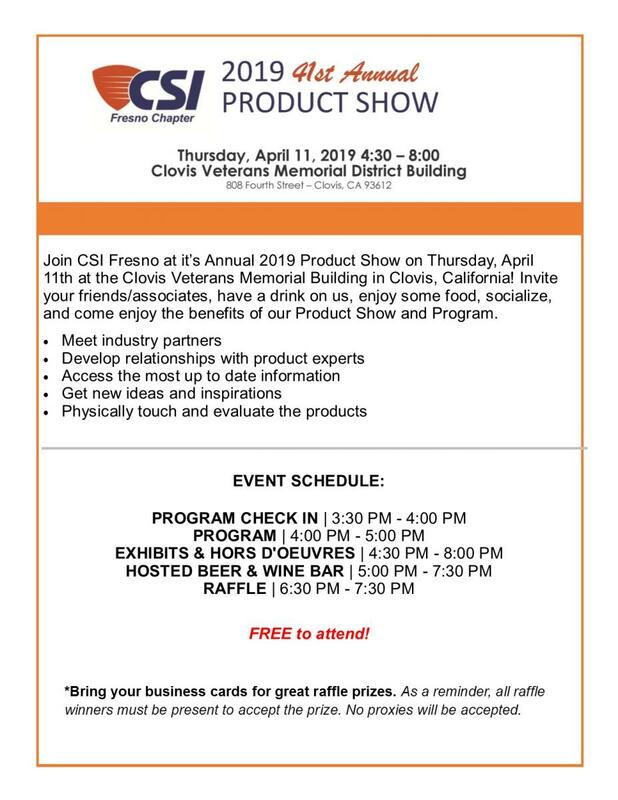 CSI provides continuing education, professional conferences, and product shows. For more information, visit www.csiresources.org, or call 800-689-2900.